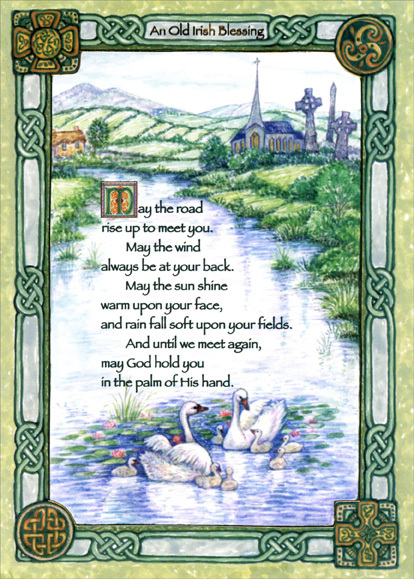 Front: An Old Irish Blessing - May the road rise up to meet you. May the wind always be at your back. May the sun shine warm upon your face, and rain fall soft upon your fields. And until we meet again, may God hold you in the palm of His hand. 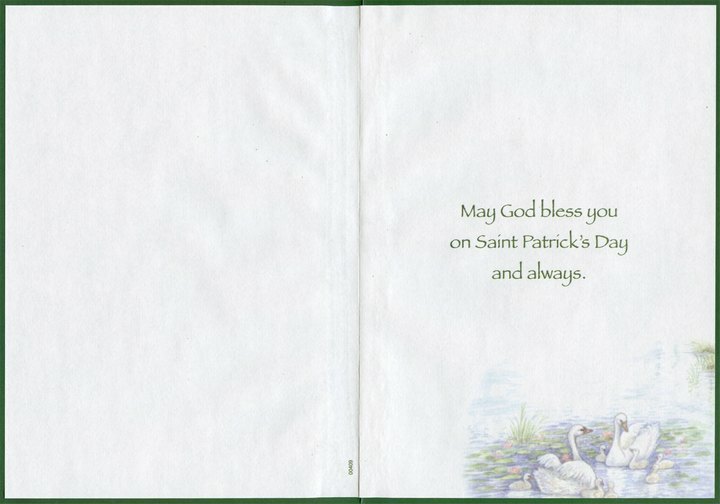 Inside: May God bless you on St. Patrick's Day and always.